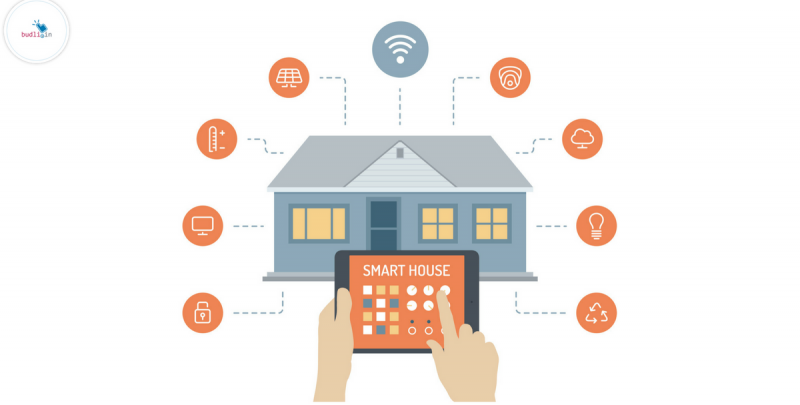 How are IOT and Smarthome tech going to change the way we live? A few years ago we had to walk to the front door to check who is knocking on the door. But now, the smart home technologies enable us to know who is at the door even if we are not at home. That’s how the technology is advancing in today’s world. Coming to IOT, it stands for Internet of Things – the main intent of IOT devices is to collect data and run processes according to certain results obtained in the data collection process. The way they work is by connecting all the data and sending it to the cloud where all the processing work takes place and the results are then sent back (the instructions). IOT devices have changed everything around us, right from the way we collect, weather data for the time we water our garden. With IOT, everything is automated and data driven. IOT devices are very closely connected to each other. Your AC, fans, smartphones, water purifier, TV, lights – everything is interconnected and is controlled by the smart home IOT devices. The main purpose of using these home automation products is they make life easier. Many big technology giants like Google and Amazon have come up with their own versions of these smart home technologies based products. Google has recently introduced Google Home and then we also have Amazon’s Alexa. Both of these products are home automation products whose soul purpose is to make your life simple and yet more productive. People love these smart home products! Don’t trust me? Here is a quick fact from Business Insider. These smart home products not only increase the comfort levels in the house, also reduces your bills. How? AC is turned off automatically once it reaches the required temperature, lights are never left turned on when not in use, fans are turned off right after you leave your room. This saves a lot of electricity which in-turn reduces your bill. IOT is the next BIG thing! We will have to wait and see how many more innovative home automation products we will get to see in the future. Loved our smart home blog post? Then I’m sure you will love this one too – Want to save money when you are buying your next smartphone? I have a solution! We call it – refurbished products. Refurbished products are the latest technology trend in India. The people of India are taking smart step by buying refurbished products over new gadgets and second-hand products. Be a part of this change! Buy a refurbished mobile phone or laptop now! We, budli.in are one of the leading marketplaces in India for buying refurbished gadgets. We have a huge inventory of products that you might just love. Head over to budli.in and check them out.